A recent fad is to go to some of these websites to take personality tests. You have seen them: What kind of ___ are you? People succumb to the Confirmation Bias, which is “the tendency to remember or notice information that fits one’s expectations while forgetting discrepancies.” -Introduction to Psychology: Gateways to Mind and Behavior(1). We don’t need to find out who we are by answering these questions on some websites. We also don’t need to be limited by astrology signs and fortune cookies or what others think about us. You may take some personality test to find out what traits they say you have. But honestly, these things are just distracting and limiting us from our potential in Jesus. Did you know that Jesus can rewrite your script? Did you know that God has the power to reprogram you? Many people love pseudo psychology/personality tests online because they tend to be flattering. Horoscopes and fortune tellers work the same way. It is called The Barnum Effect. The Barnum Effect comes from the words of the famous circus promoter, P.T. Barnum(2), who said, “Always have a little something for everyone” and also “There’s a sucker born every minute.” Falling for these things gives us a false presence about ourselves. 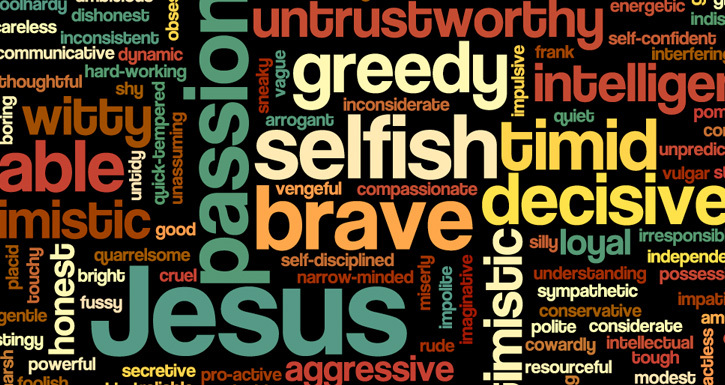 We get compartmentalized when we rely on these things to tell us who we are. We get fitted into something that we can never outgrow. “This is how you are.” I can never accept that. I can’t be categorized and thrown into a box. We do too much of that to people all the time. We write out in our minds who people are and never enable them to go beyond those points. An example of this would be telling people in the ghetto that they have no hope and they can never get out. With our words and lack of expectations in people, we can actually suppress others from succeeding in life. We hold people back by what we tell them what they cannot be by telling them what they will always be. We know the Bible tells us in Romans 3:23 that “all have sinned and fall short of the glory of God.” So we know we are sinners. But Romans 6:1-2 says, “What shall we say then? Shall we continue in sin that grace may abound? Certainly not! How shall we who died to sin live any longer in it?” God tells us we don’t have to stay where we are. Jesus is not limited to our imaginations. He is not limited to our categories and our expectations. Jesus says to us, “You can do all things through Me.” (Philippians 4:13). Also in 1 Corinthians 5:17, Paul wrote: “Therefore, if anyone is in Christ, he is a new creation; old things have passed away; behold, all things have become new.” If you do not believe this, then you probably don’t believe that you can be truly forgiven from God. If you don’t believe this, you probably still think God holds your past over your head. I know, personally, that God has rewritten some aspects of my life and my mindset. There are some other areas I would like to give to Him but I seem to not let Him have those areas. I know that He has changed some things in me and I hope to be able to provide Him other areas of who I am so that I can live even fuller in His grasp. By the indwelling of Christ in our lives, we can be made new, made whole, and made complete. But as long as we continue to look elsewhere for our purpose and for explanation of who we are, we will never find our great potential in Him – the Creator and Re-creator of life. 1 Accessed on May 30, 2014 from Google Books.